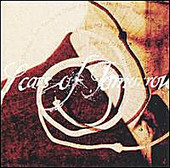 California metalcore troupe Scars of Tomorrow's 11-track debut provides all the necessary elements for a crushing introduction. This quintet blend menacing mosh parts that give Swedish death metallers a run for their money with Deftones-esque breakdowns on songs like "Break The Fall". Yet, ROPE TIED TO THE TRIGGER has its fair share of chugging guitars and buzzsaw rhythms in full effect on tracks like "Abandonment". These traits, plus the production skills of Converge's Kurt Ballolu, give Scars of Tomorrow a versatility that many of the group's peers don't enjoy. The perfect blend of east meets west metalcore? You be the judge, but be prepared to get pummeled in the process.